Notmans Studio Photo,circa 1879. You can barely see the town clock at the top of the street. 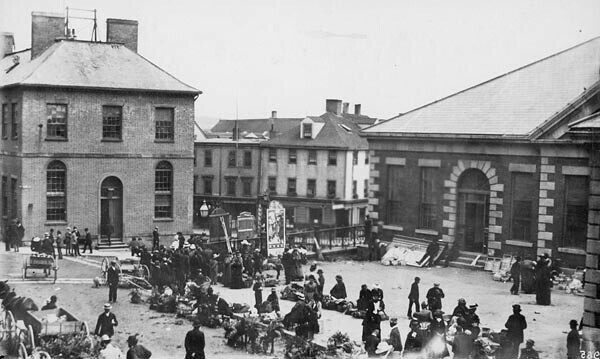 The Halifax market at one time was held on the corner of Cheapside and Bedford Row. 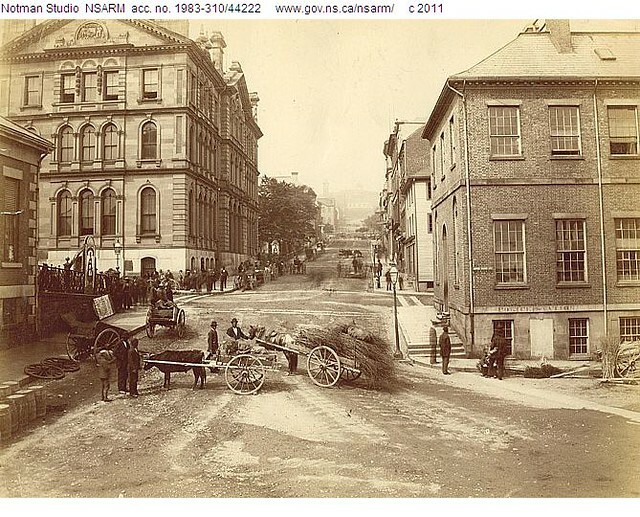 The building on the left was the Customs building and now it is part of the Art Gallery of Nova Scotia. In the picture below, the building on the left is the building on the right hand side of the top picture. This was probably taken from a window of the Customs Building. These lovely pictures are courtesy of the Provincial Archives of Nova Scotia. Awesome! We've come a long way. Keep'em coming! Nice photos from the NS Archives! You can see more if you go to www.gov.ns.ca/nsarm/ and search for "market."